Carbon Nanotubes (CNTs) are now in use in a variety of aerospace composites to help improve de-icing coatings, electrically conductive composites, EMI shielding coatings, anti-corrosion coatings, shape memory alloys, protective glass, and more. Carbon nanotube research is relatively new, and breakthroughs and new discoveries are being made every day. A recent study by T.R. Pozegic, for example, shows that carbon nanotubes grown at low temperatures on carbon fibers create a strong fuzzy fiber composite that has excellent electrical and thermal conductivity as compared to conventional composite materials. A large number of high-tech companies and military contractors are now using carbon nanotubes as well. 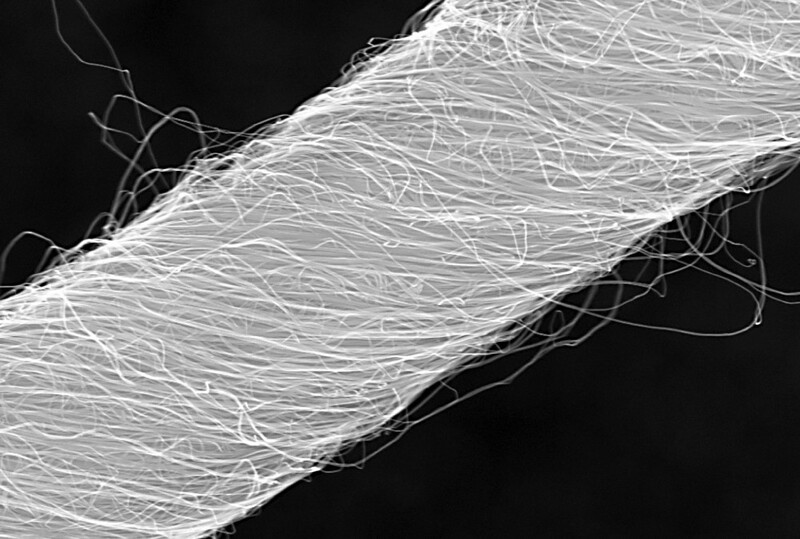 Companies and research groups are experimenting with different size carbon nanotubes. The current typical size of carbon nanotubes is between 5µ to 20µ. A nanometer is one-billionth of a meter. But Nanocomp Technologies now makes bulk carbon nanotubes 100 times longer at 1mm to 10mm. Carbon nanotubes are made using two methods: arc-discharge and chemical vapor deposition. Finally, in a recent experiment at the University of Wisconsin-Madison, carbon nanotube transistors outperformed silicon for the first time ever. The following video explains how carbon nanotubes are one of the world’s strongest materials. Google Purchases Maker of Smart Spoon Device… Helps Compensate For Tremors.